If I don't hear about any horror fan screaming out into the night at this sad and grim news, then I will truly be surprised! I know there's a few tears in my eyes already. It appears that William Finley, beloved character actor, passed away on April 14th, 2012 due to complications after surgery. Having conjured up a vision from Hell in a New York brownstone apartment house some thirty years previously, director Roman Polanski returned to the diabolical fold with this, a loose adaptation of the novel El Club Dumas by Spanish author Arturo Perez-Reverte. And although the quiet, precise trappings of the filmmaker's work remain intact in this old curiosity, it is ultimately a film less interested in heralding the coming of the Devil than one that sees fit to tell us that he's been here the entire time. This is not the easiest article I've ever had to write. 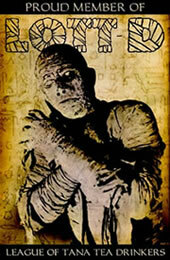 On June 15th, 2012, the site's 13th birthday, Classic-Horror.com will cease updating. We will continue publishing biweekly reviews up until that point (on Fridays instead of our usual Mondays), but after that, the site will remain up only as an archive. There are a number of reasons for the site coming to a close in three months, but none of them are particularly important. Basically, it's time to move on. Thirteen years is a good run. I wanted to give a little warning rather than cease out of nowhere, because I want to point out that we will have some incredible reviews from our staff, who are some of the best writers I have ever known. We're going to go out on some of our strongest material. There will be another post on June 15th, a final farewell post, where I talk about more about the closure. This post is just a friendly notice that the end of the book is drawing near. In 1967, an upcoming, unknown film director named George A. Romero set out to make a movie with his production company Image Ten and a group of unknown actors and actresses in and around Pittsburgh, Pennsylvania. That film in question was none other than Night of the Living Dead! Filmed in more than 4 weeks and shot on a minimal budget of $114,000, Night shocked audiences when it first premiered on October 1st, 1968, and still does so to this day. The film also managed to pave the way for independent filmmakers, along with bringing horror closer to the real world. Horror film actors are probably the most typecast actors ever, whether it brings them great success (Lon Chaney Sr., Boris Karloff, etc) or it brings them great failure (Bela Lugosi, Lon Chaney Jr., etc) in their lifetimes. But no matter if they're top billed or uncredited in a minor cameo, they always seem to put forth 120% into their performances. That was very much the case for Dwight Frye, one of the most typecast actors in all of horror film history. He gained his claim to fame in the early talkies as Renfield, the crazed, insect eating madman in Tod Browning's Dracula. After this success for Universal, Frye would be catapulted into playing a whole bunch of lunatics, half wits, spies and red herrings, all which led him into a deep frustration. Sad news has struck every horror film fan around the world today. 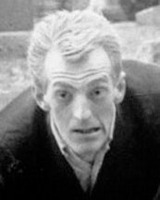 It turns out that Bill Hinzman, who played the cemetery zombie in Night of the Living Dead, and who was forever etched into zombie pop culture, died at age 75 from cancer.